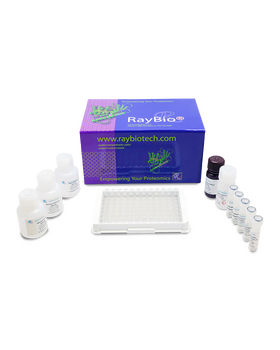 RayBio® Cell-Based Human/Mouse/Rat ERK1/2 (Thr202/Tyr204) Phosphorylation ELISA Kit. Suitable for adherent whole cell lines. 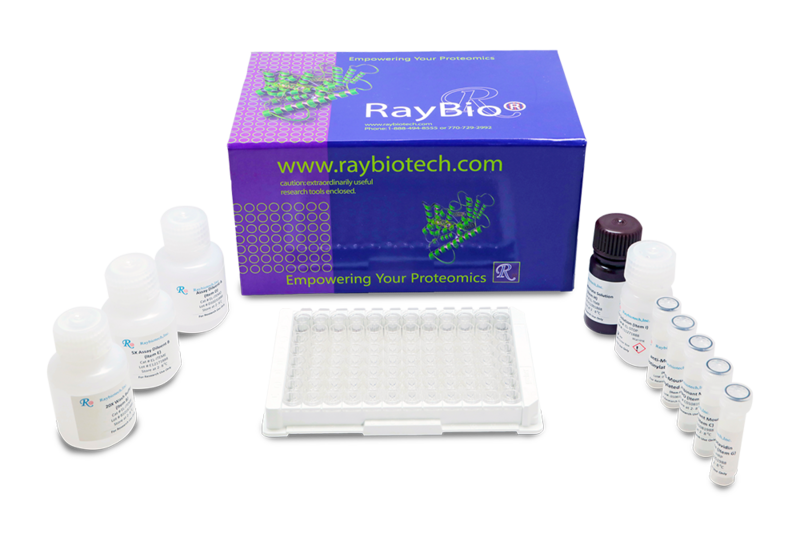 The antibodies provided in this kit recognizes human, mouse and rat Erk1 phosphorylated at sites Thr202/Tyr204 and Erk2 phosphorylated at sites Thr185/Tyr187 and total Erk1/2 for comparison. Poggi, Marjorie, et al. "Palmitoylation of TNF alpha is involved in the regulation of TNF receptor 1 signalling." Biochimica et Biophysica Acta (BBA)-Molecular Cell Research 1833.3 (2013): 602-612. Chim H., Armijo BS., Miller E., et al. Propranolol induces regression of hemangioma cells through HIF-1?-mediated inhibition of VEGF-A. Ann Surg. 2012 Jul;256(1):146-56. doi: 10.1097/SLA.0b013e318254ce7a. Flamein F, Riffault L, Muselet-Charlier C, et al. Molecular and cellular characteristics of ABCA3 mutations associated with diffuse parenchymal lung diseases in children. Human Molecular Genetics 2012;21(4):765-775. doi:10.1093/hmg/ddr508. Guitton, Christophe, et al. "Protective cross talk between activated protein C and TNF signaling in vascular endothelial cells: implication of EPCR, noncanonical NF-?B, and ERK1/2 MAP kinases." American Journal of Physiology-Cell Physiology 300.4 (2011): C833-C842. Menschikowski, Mario, et al. "Expression and shedding of endothelial protein C receptor in prostate cancer cells." Cancer cell international 11.1 (2011): 4. Soga F., et al. Serotonin Activates Human Monocytes and Prevents Apoptosis. J Invest Dermatol. 2007 Aug;127(8):1947-55.